Riparian Rap: ASEE in Indianapolis and so much other good stuff! Anna and Jim celebrate the hard-won move in to the Indiana Convention Center. 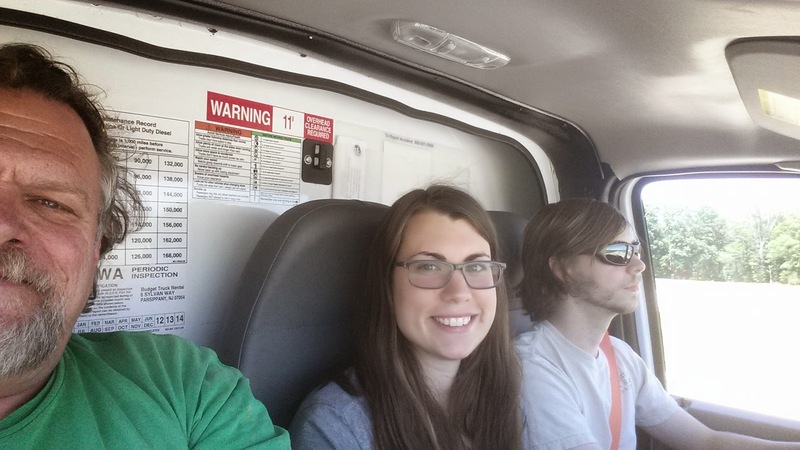 Me, Anna, and driver Jim Nation on the way to Indianapolis, Indiana and ASEE. Great company! Bad news: this blog has been neglected. Good news is we’ve been too busy to write about all the cool things LRRD’s doing. We have a waiting list now on our Em2 models; they are selling faster than we can build them. The first production Emflume1 units are finished; this was a huge job. We have engaged gifted post-doc Wahid Rahman to work with me (Steve) and Kathryn Shulte Graham at Northeastern on a comprehensive curriculum to go with it. We are working with Loligo Systems in Denmark to adapt their DPTV velocity measurement system to the Emflume1. 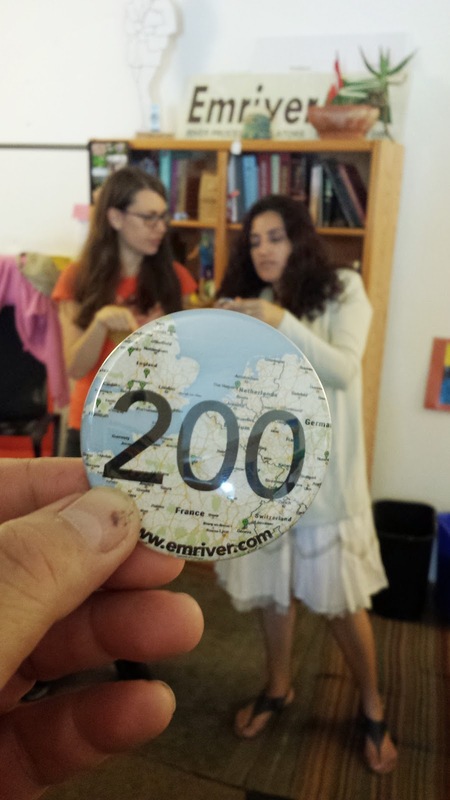 We’ve shipped our 200th Emriver model. 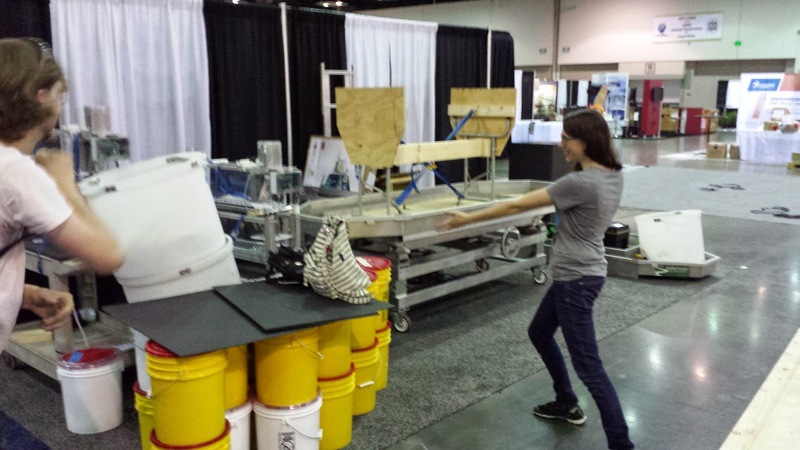 NOW we’re in Indianapolis for the American Society of Engineering Educators (ASEE) conference. Anna, Jim and I have just unpacked our truck.